Will Spotify save the music business? Can mobile money help sustain streaming music in Africa? Not many years have songs named after them, but Prince’s apocalyptic hit '1999' defined a moment in time for many – including the entire recorded music industry. The year marked the peak in global album sales, with overall industry revenue subsequently dropping for almost two decades due to piracy and the unbundling of the album. But a turning point has been reached, with streaming revenue growth offsetting declines in physical album sales and downloads. Today, industry revenue is still a third lower in nominal terms than in 1999, but since 2015, it has bounced back and growth has started to accelerate. File-sharing platform Napster launched in 1999, making it easy to exchange files while totally disregarding copyright laws. Lawsuits against the company only brought free publicity, and soon university networks were clogged with mp3 file transfers as Napster reached 80 million users at its peak. Napster was ultimately shut down in this form, but it ushered in a plethora of similar sites, leading to an eruption of piracy that rattled the music industry to its core. Album sales plummeted and the music industry, long very cushy and borderline complacent, struggled to adapt to the new normal. To compete, paid downloads seemed like the only viable option, offering consistent sound quality and a clear conscience as value propositions. Hindsight is always 20/20, but this was a poor response and further disrupted the industry, effectively unbundling albums and enabling the cherry picking of tracks with negative effects on revenue. It also created a restrictive experience for the consumer with tracks stuck on certain devices, while inertia to spend nominal amounts on a single song meant the lure of piracy remained. YouTube emerged around the same time, and established itself as a viable platform for music video streaming. Legendary record producer Jimmy Iovine estimates that 40% of all music listening today takes place via YouTube – a number confirmed by other sources – but it pays less than its fair share to the music industry. At the time, the music industry was forced to make original music videos available to YouTube on the basis that little revenue was better than nothing. The industry had its back against the wall. People did not stop listening to music. They just stopped paying for it – with piracy and YouTube filling the gap. Nielsen estimates show continued increases in consumption, with Americans currently listening to around 30% more music than they did in 2015. Streaming is making it easier to listen to music and is expanding the overall market. Critically, it is finally an attractive means of monetisation for the industry. People are embracing paid streaming because it is a great service at a reasonable price. In the developed world, $10 per month will buy you access to over 35 million tracks available at any time and on any device. Family and student plans are available at around half this price. It is easy to search and find songs, there are curated playlists tailored to your tastes and you can download and play songs offline. Crucially, sound quality is first-rate and consistent. As such, users are engaged and spending an increasing amount of time listening to music via their mobile phones. Streaming also fits squarely into changed consumer preferences, firstly towards mobile, and secondly towards subscription as opposed to ownership, a key millennial trend. The shift to mobile is evident in all technology companies and has been a key enabler for streaming acceptance. Users can now hold their entire music library in one hand and listen to it via myriad Bluetooth speaker options, which are steadily improving. Voice-controlled devices enabled by the likes of Amazon’s Alexa should reduce the friction of song search, making the listening experience more enjoyable and helping to drive growth. Piracy remains a key risk, but it is becoming increasingly 'not cool' amongst younger consumers, and we believe when shoppers are given the option of a quality service that satisfies their needs at a fair price, they will pay for it. The number of paid streaming subscribers globally exploded to almost 180 million at the end of 2017. Spotify is the market leader and currently boasts over 70 million paid subscribers. It expects to end this year with over 90 million, taking advantage of the strong structural growth drivers in the industry. 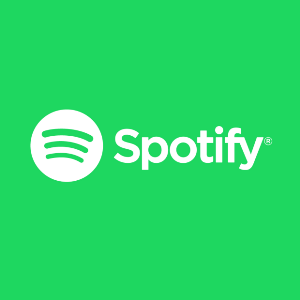 With an additional 100 million ad-supported subscribers, one must not underestimate the amount of data that Spotify collects, enabling it to curate music in an extremely cluttered environment where thousands of tracks are added every week. Streaming platforms such as Spotify and Apple Music are synonymous with music today, but the three large record label groups – Universal Music Group (UMG), Sony and Warner – currently own the majority of the world’s music. UMG, owned by the French-listed Vivendi, is the largest of the three and arguably the only investable record label group. Sony’s music business makes up only a small portion of the sprawling conglomerate’s earnings and Warner is privately owned. UMG owns iconic record labels like Geffen, Def Jam and Capitol Music Group, and represents leading artists such as Drake, Justin Bieber and Rihanna. So far, streaming has been a successful model for the music industry. It has evolved the industry from one-off album sales to annuity income with revenue visibility from monthly subscription fees. Recorded music is now a less hit-driven business than in the past, as streaming allows the artist, label and platform to monetise a fan over her entire lifetime rather than a single transaction. Unlike movies or series, we listen to our favourite songs over and over again. In fact, tracks older than 18 months account for the majority of listening time on streaming services such as Spotify today. As such, we see tremendous value in UMG’s music catalogue. It is the world’s largest and continues to earn revenue from artists like The Beatles, Elton John and Queen today. For every $10 paid to Spotify, around $5.50 goes to the record label, who then pays the artist they represent. It is the label’s job to discover new artists and to finance them, providing creative expertise, studio time and access to songwriters and composers along the way. Labels are also responsible for promoting and marketing artists, ensuring that their music is distributed on streaming platforms, radio stations and in record shops around the world. They also collect and manage royalties from numerous sources. $1 then finds its way to the publisher, who represents the songwriter. Spotify only retains $3.50 in its capacity as distributor. There are no fixed dollar payments to artists. Instead, the total revenue generated by the platform is shared out in these ratios and artists are paid in proportion to song play. The revenue pie is growing rapidly, and artists are increasingly embracing this new business model. Streaming platforms such as Spotify and Apple Music have led the resurgence of the music industry. Looking ahead, could these platforms backward integrate, producing their own music and disrupting record labels just as Netflix displaced traditional entertainment studios? Music differs from audio-visual content. The fact that we listen to our favourite tracks repeatedly, makes the back catalogue very important. People also consume music more regularly, and every streaming platform needs every good track to be appealing. A prisoner’s dilemma has emerged, with the labels needing the platforms for distribution and the platforms needing the labels for content. With a delicate balance required, a semi-collaborative approach with the aim of growing the market has emerged. We expect platforms like Spotify to gain more power in time as they increasingly influence user demand and control a rapidly growing share of music distribution. We also expect Spotify to produce their own content around the fringes, but believe full-scale record label disintermediation is highly unlikely, with the big three labels still controlling over 70% of the world’s recorded music, including the valuable back catalogues. While the music industry is not yet 'partying like its 1999' again, it is in the very early stages of revival. We expect content owners and streaming platforms to thrive going forward as the industry recovery continues. * Chris Cheetham is an investment Analyst with Coronation Fund Managers. Coronation currently owns both Vivendi and Spotify in its global funds. Views expressed are his own.